Because who doesn't love a yummy high protein treat that can be had as a small meal - any time of the day! - Combine all ingredients in a small blender and mix at low speed until smooth. 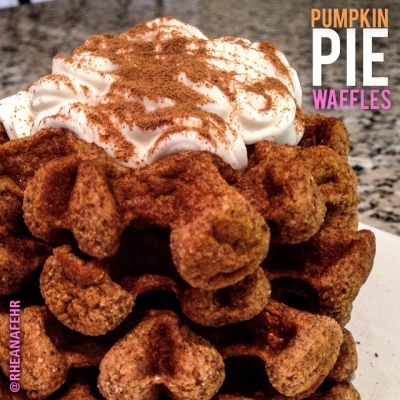 - Spray your waffle maker with coconut or olive oil and pour mixture evenly. - Once cooked, top off with 0% plain Greek yogurt and sprinkle cinnamon and stevia for added sweetness!